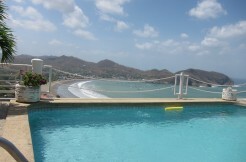 Pacific Marlin is a gated community consisting of the entire northern cliff surrounding the San Juan del Sur bay. 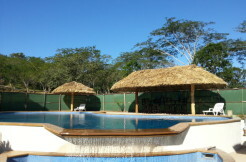 The lots throughout the hillside have been individually bought and developed, therefore each home is original. This is an area where one can see many different styles of luxury houses and enjoy grand ocean views or views back to the town of San Juan del Sur.